Diabetic retinopathy is a serious condition and leading cause of blindness among diabetics. Discover why so many people in the Katy and Houston (Memorial) Texas area turn to Eye Site Texas for diagnosis and treatment of diabetic retinopathy as well as all their eye care needs. Diabetic retinopathy occurs when a person with diabetes develops the condition. Diabetic retinopathy occurs when blood sugar levels cause damage to blood vessels of the retina. The blood vessels potentially swell, leak, or result in other damage. 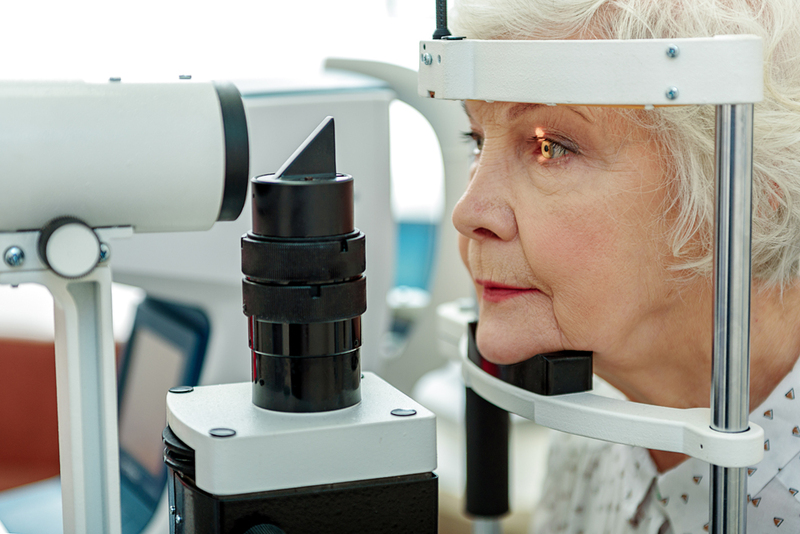 Diabetic retinopathy occurs over time, which is one reason that our specialists at Eye Site Texas take time to provide a comprehensive eye exam, including with our diabetic patients. Initially, you likely experience no symptoms. Do not assume that any change in your vision is minor. This is particularly crucial for diabetics. The American Diabetes Association points out that diabetic retinopathy are the leading cause of blindness in individuals between 20 and 74 years old. Diabetics experience diabetic retinopathy as one of the long-term effects of diabetes. The National Eye Institute (NEI) explains that when the small blood vessels in the retina leak or hemorrhage, damage occurs, leading to distorted vision, perhaps blindness. Additionally, abnormal blood vessels increase in number, potentially increasing the risk for serious complications. Uncontrolled blood sugar is one factor that makes diabetics at high risk for developing diabetic retinopathy. Symptoms include the fact that initially there are no symptoms. MedLine Plus, a division of the National Institutes of Health (NIH) lists some symptoms of the disease. However, by the time you start experiencing a feeling of floaters in your eyes, difficulty seeing out of the corners of your eyes, pain, pressure, blurred or double vision, the disease is most likely already advanced. What Are Treatment Options For Diabetic Retinopathy? Treatment options typically focus on slowing the progression of the disease and reducing the loss of vision. The NIH reports that study results demonstrate that getting your diabetes under control slows onset and progression of diabetic retinopathy. Not every treatment is the right treatment for everyone with diabetic retinopathy. Our eye care specialist discusses treatment options with each patient. How Can An Optometrist Detect And Treat Diabetic Retinopathy? If you have diabetes, your optometrist advises that you need more regular eye exams than individuals without diabetes. Our optometrists perform comprehensive eye exams, including a dilated eye exam to look for signs of diabetic retinopathy. We use the latest technological advances in our diagnostic testing services. If your optometrist detects diabetic retinopathy, you receive guidance about treatment options and ongoing management of the disease. Contact Eye Site Texas to learn more about diabetic retinopathy and for all your eye care needs.